A poorly planned and executed migration after a site refresh or redesign can lead to decreases in organic traffic and reduced search visibility in both the short- and long-term. And chances are, your marketing team has spent innumerable hours crafting content and optimizing your site for both user experience and search engine performance—and you don’t want it all to be for naught. #1 – Strike that oh-so-necessary balance between SEO and user experience. If you’re embarking on a website redesign, chances are your goals are to improve user experience and optimize conversions paths, all while strengthening your organic search footprint. But without SEO and content working together, the steps you take to reach those goals can’t be fully informed or reach their full potential. The key is integration from the start. #2 – Bolster top performing content (and weed out weak or irrelevant content). 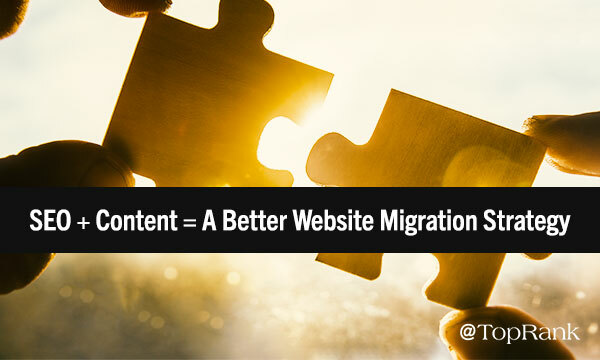 Site migrations often involve some picking and choosing as far as what content needs to be kept, killed, updated, or created. The last thing you want to do is cut or disrupt the content your audience loves—but you also don’t want to pass up opportunities for adding or improving content with potential or killing content that’s no longer viable. As a result, this is definitely the sweet spot for SEO and content integration in a migration scenario. From an SEO perspective, you can leverage Google Analytics and Google Search Console to analyze traffic, conversions, ranking, and engagement rates. 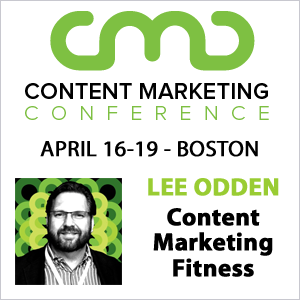 Then content can be grouped into suggested buckets of what content stays, what content needs updates, what content can be killed, and what content you may be missing. From there, strategic content tweaks can be made with both SEO and user experience in mind before launch. #3 – Promote your new and improved site. After making your shiny new site live, it can be tempting to relax and celebrate. But the work isn’t done. Of course, technical SEO considerations such as 301 redirects, site crawlability, site speed, mobile friendliness, and backlinks need QA and monitoring to ensure your content is working its magic on search engines. You’ll also need to make sure your site map is updated in Google Search Console if any URL structures have changed. But where does that leave your customers and prospects? Communicating and promoting the changes you made is a must—but it’s something that is often overlooked. So, in addition to your post-migration SEO checklist, create a promotional plan (e.g. email newsletter update, social media, blog post highlighting key new features, etc.) to ensure you’re getting the word out. #4 – Make ongoing tweaks that satisfy user and search engine needs. After launching your redesigned site, you’ll likely be measuring like crazy to learn where users are dropping off, if you’re losing any traffic to key pages, and if you’re losing conversions from anywhere. Of course, tweaks will be needed to capitalize on SEO opportunities. But just sprinkling in keywords isn’t the answer. You need context and insight—some of which can be drawn from the competitive content landscape—in order to make strategic content updates that better answer your audience’s questions, as well as send positive signals to search engines. There’s little doubt that SEO needs be at the forefront of any website redesign and subsequent migration. But it shouldn’t stand alone. By pairing content and SEO together, you can make more thoughtful and strategic decisions that will help you bolster user experience as well as search visibility. Looking for a website migration partner? Look no further. We can help.